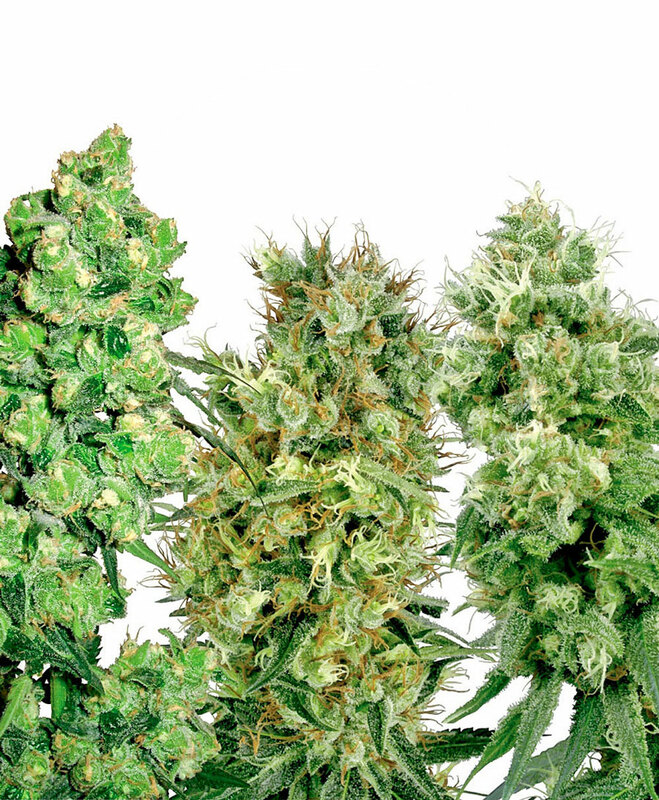 Anyone who finds it hard to choose between White Label's many superb strains can find the solution to their dilemma in our White Label Mix pack. This selection contains 25 seeds - a randomly mixed assortment taken from any or all of the 16 strains featured on White Label's list of regular (non-feminised) cannabis varieties. The White Label Mix contains powerful, easy-to-grow Indica-dominant strains like White Widow, Orange Bud, and Afghan Kush together with Indica-Sativa hybrids such as Bleu Berries and White Skunk, as well as award-winning Sativa hybrids including White Haze, Amnesia White and the new White Label Jack Herer! Whether you're looking for top-quality mother plants or an assortment of strains to fill a varied gourmet grow-room, the contents of the White Label Mix pack will surprise and delight you! White Label Mix contains a mix of various cannabis strains from ##BREEDDERNAME##. The White Label Mix is a Sativa / Indica Hybrid. White Label Mix will have a comparatively short flowering time. White Label Mix can be grown outside in a warm, sunny climate with a long summer. White Label Mix Seeds is added to your shoppingcart! White Label Mix Seeds is added to your wishlist!